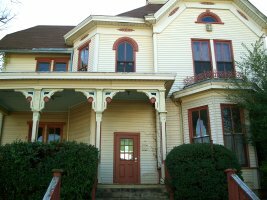 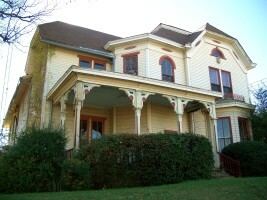 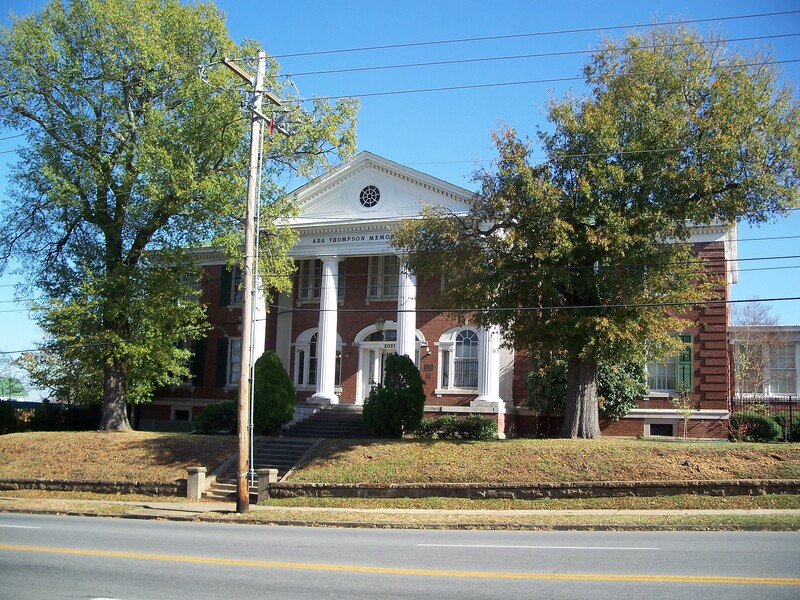 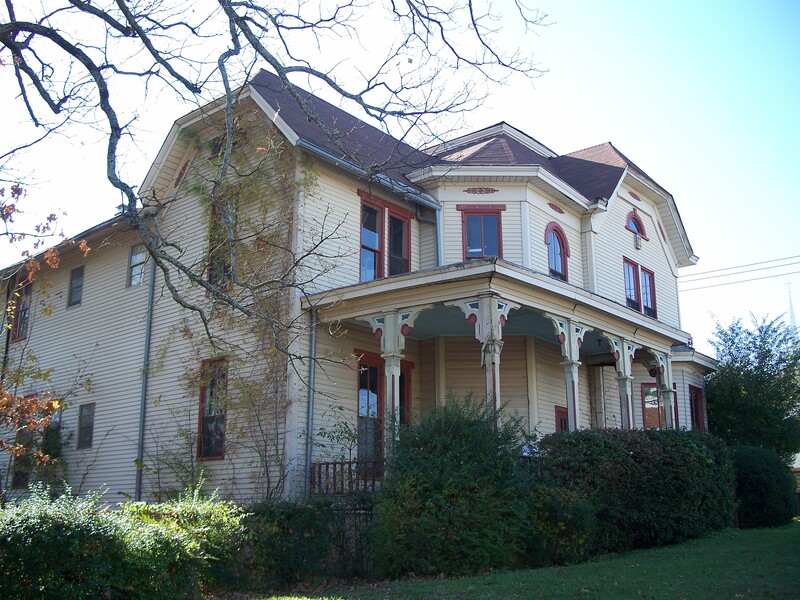 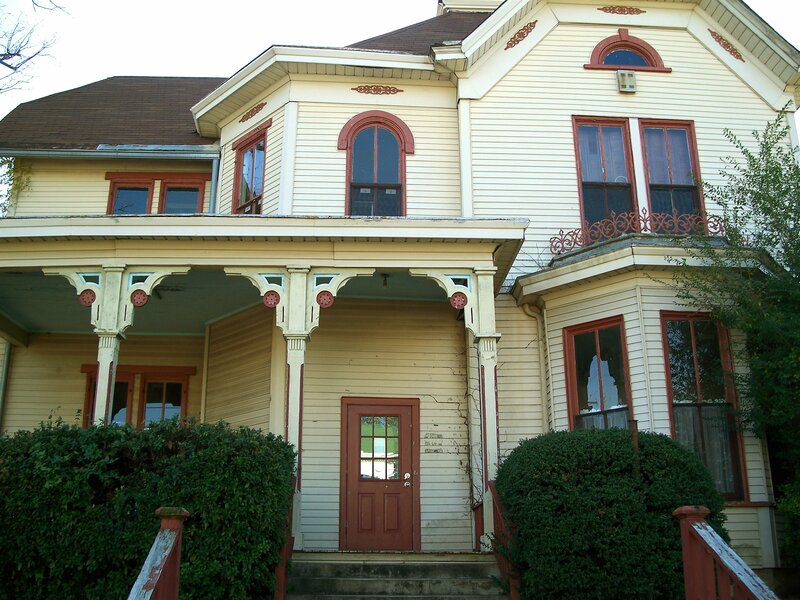 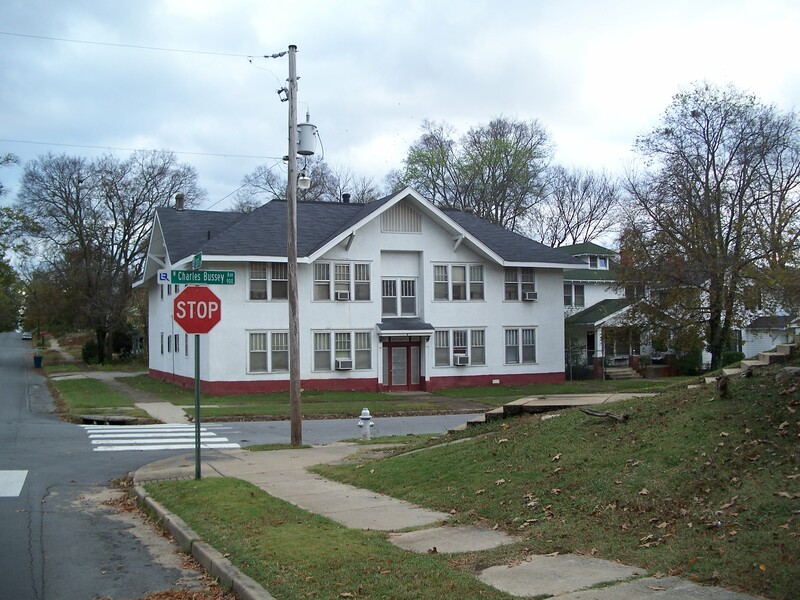 After Lucinda Harper left Herman Privett around 1911, she and the children briefly lived with her sister in Wilmot, AR before moving to the Working Women's Home in Little Rock, AR. 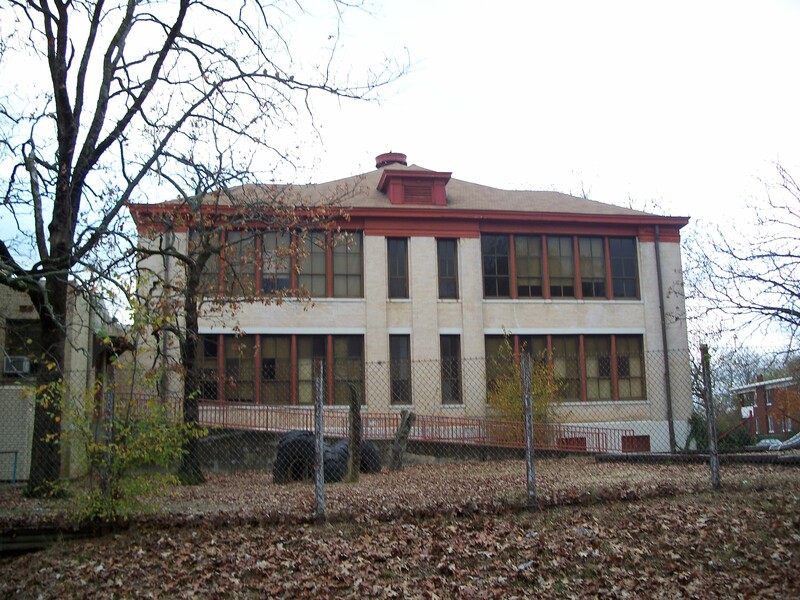 Supposedly, this "orphanage" also hired Lucinda Harper or provided some opportunity for her to spend time / live with the children, although details are murky and, probably, lost in time. 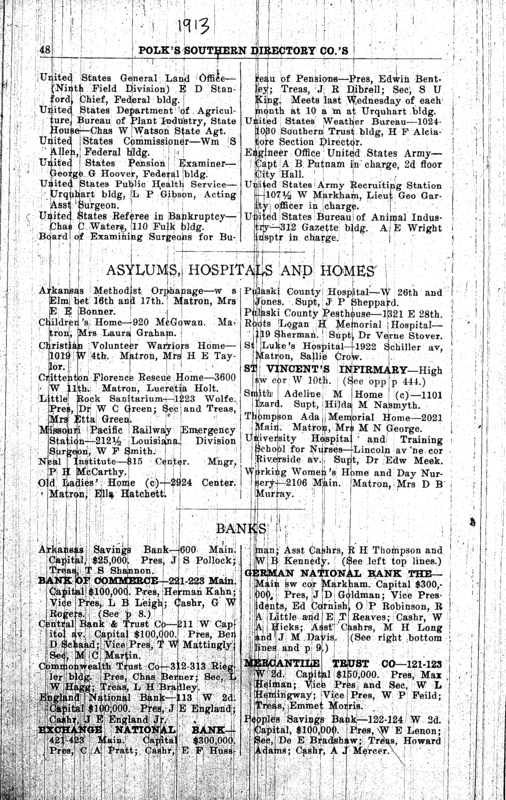 In November of 1914, Lucinda married William F. Irvin, a widower with three children. 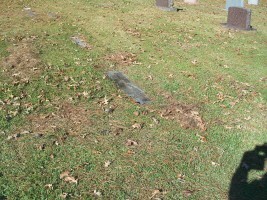 She married a third an final time to P.G. (Pearl Gendridge?) 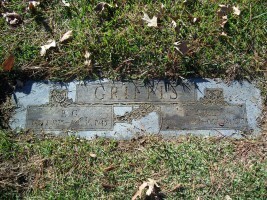 Griffis around 1917. 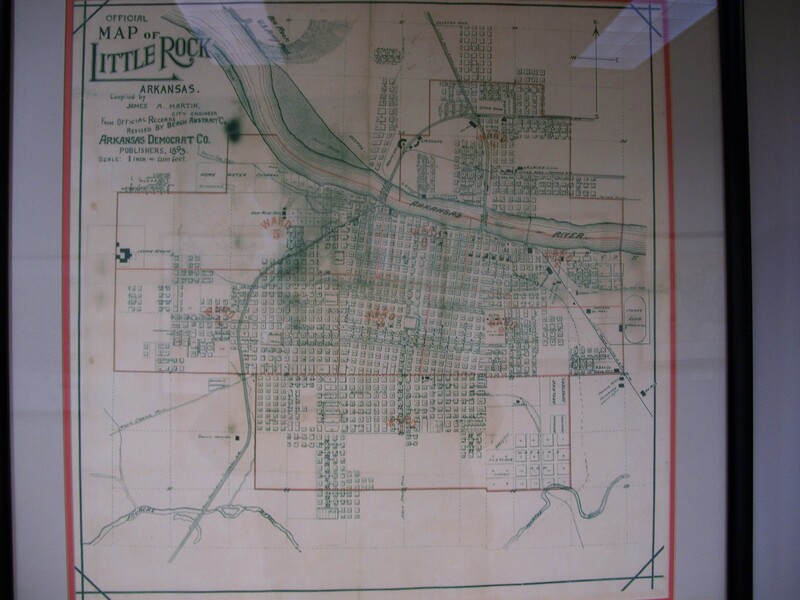 The 1920 census lists the family of five living in Little Rock (19th St. Pike, Big Rock Township, Pulaski County). Frank eventually left Little Rock, ending up in St. Louis, working at Scullin Steel and marrying the 16-year-old Eva Morton in 1927. 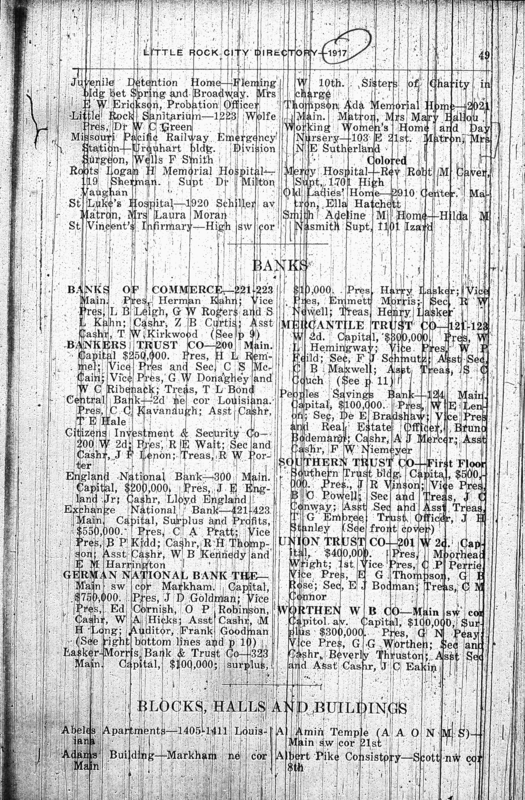 Eva Privett's notes about Frank's orphange list it as the "Working Mother's Home", is actually a corruption of two names apparently held by the same institution. 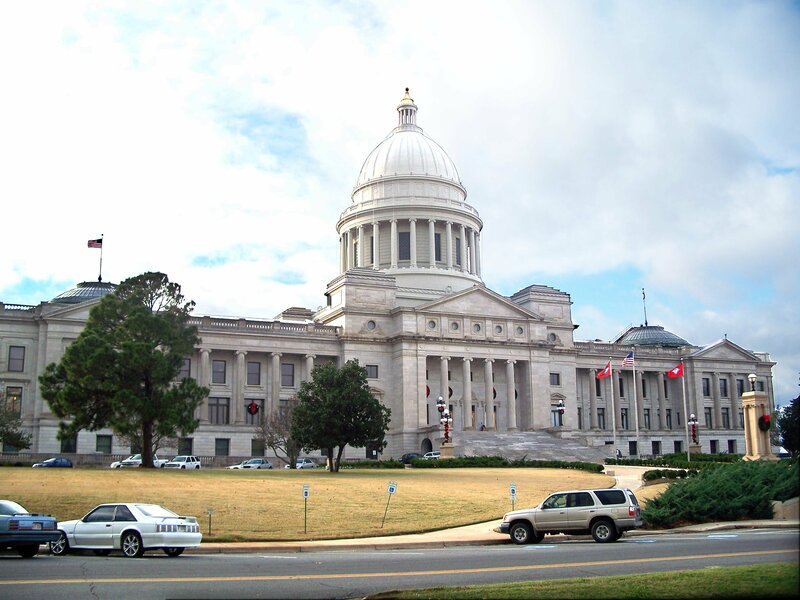 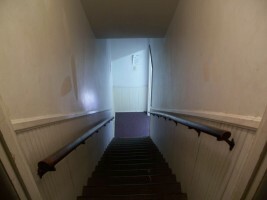 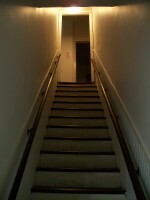 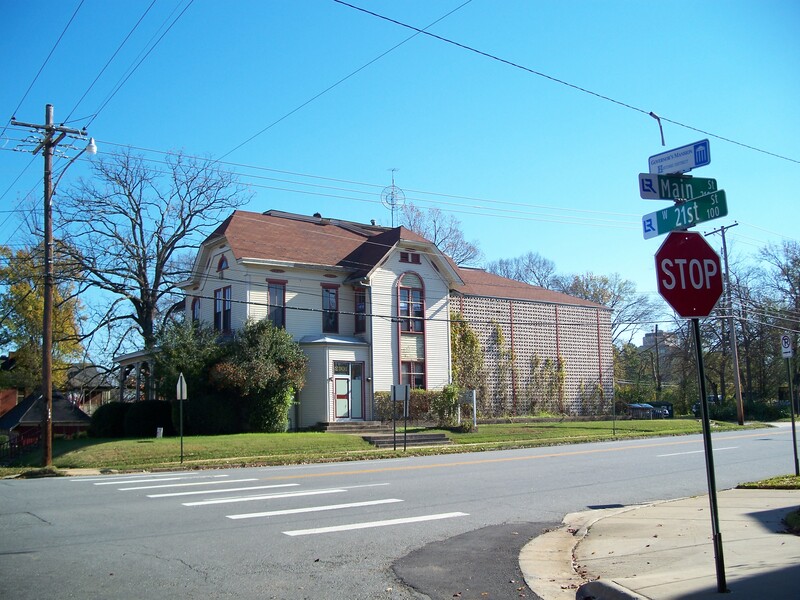 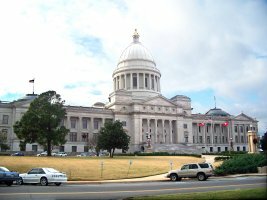 The Mother's Home is listed in the 1911 Little Rock City Directory at 1421 West Fourth Street, a site that is catty-corner northeast of the Arkansas State Capitol Building, which opened in 1911 on the site vacated in 1899 by the State Penitentiary. By the next year, the institution at that address was listed in the 1912 Little Rock City Directory as the Working Women's Home. 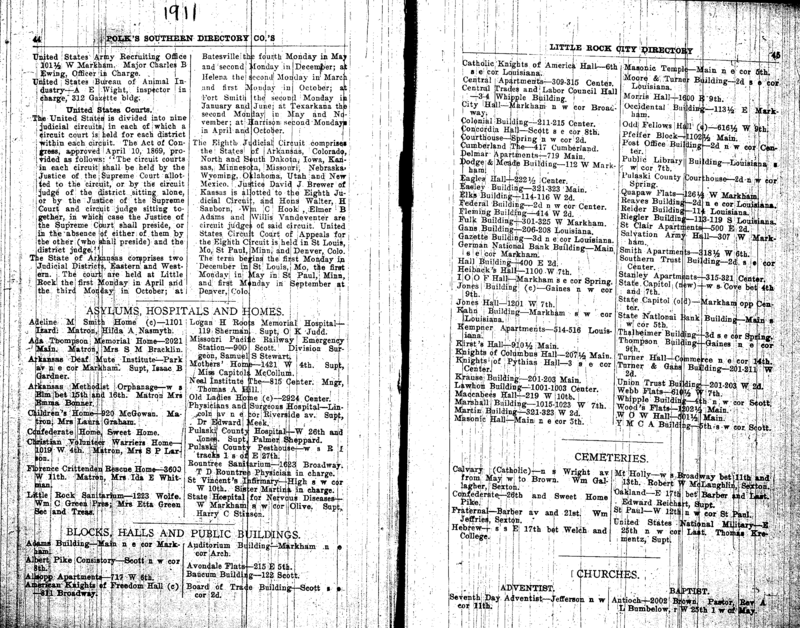 In the 1913 Little Rock City Directory, the home had moved to 2106 Main Street (at 21st Street). 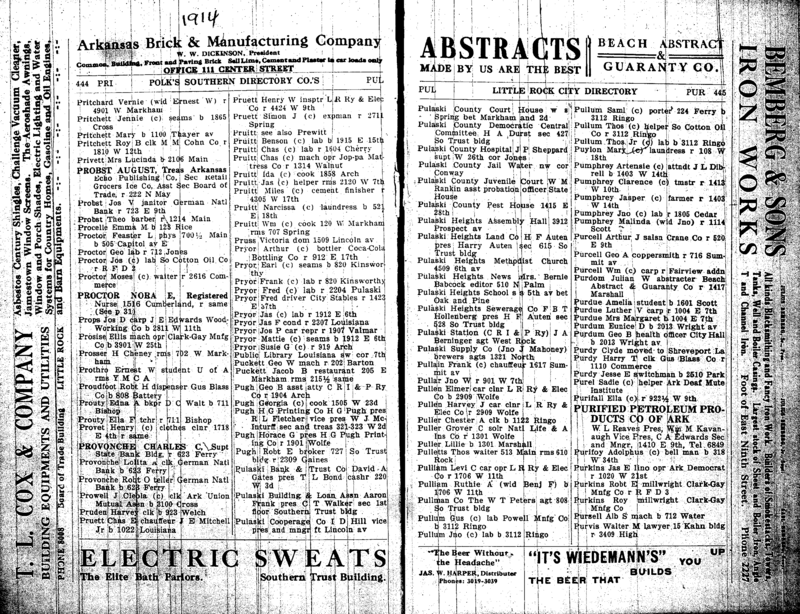 Although the dates of Frank's time in the home are uncertain, in the 1914 Little Rock City Directory, Lucinda Privett (Frank's by-then divorced mother) lists her address as 2106 Main. 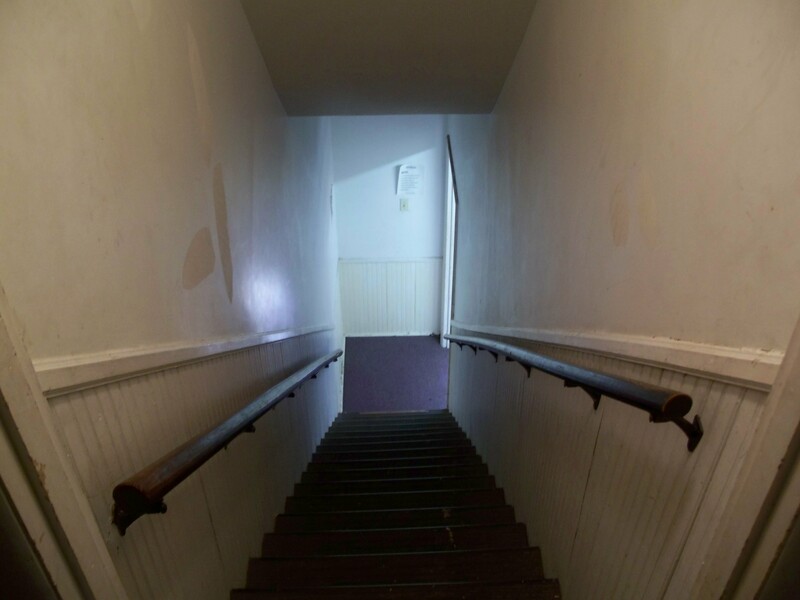 Whether she and/or the children ever lived at 1421 West Fourth is unknown and, probably, unknowable. 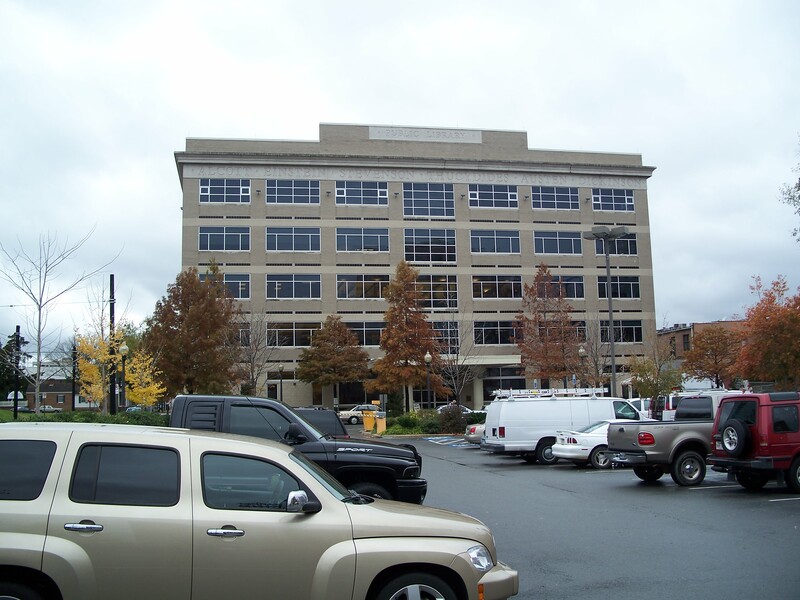 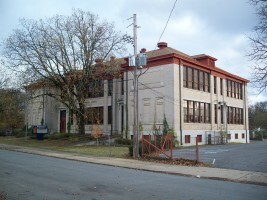 The 2106 Main Street location (listed as 103 East 21st Street in the 1917 Little Rock City Directory) is the more interesting of the two locations. 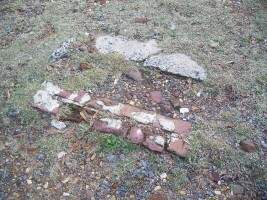 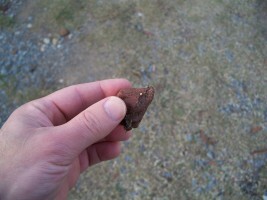 It is also much closer to the Rightsell School that Frank reputedly attended as a child (see below). 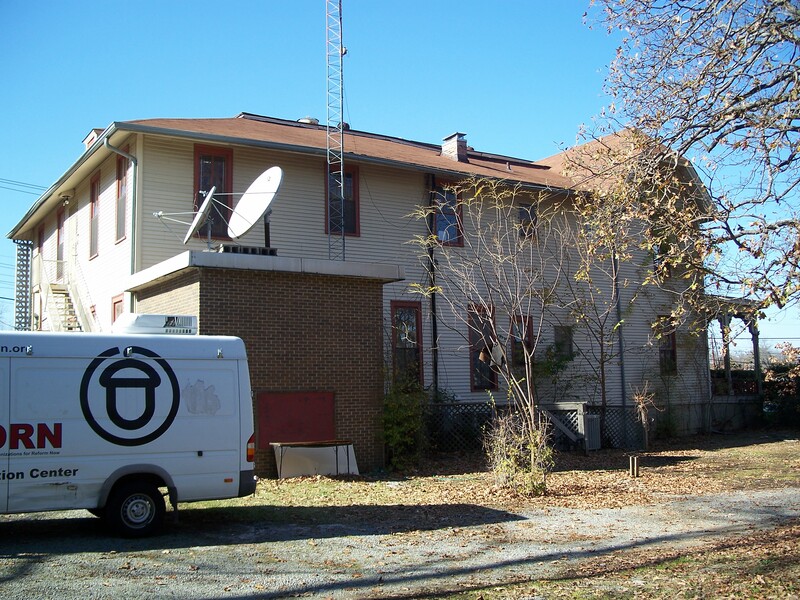 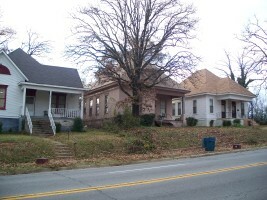 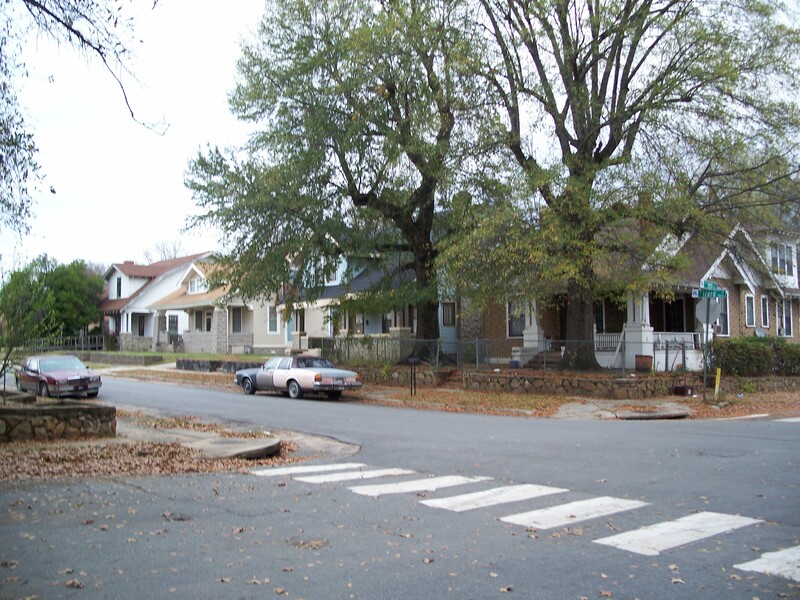 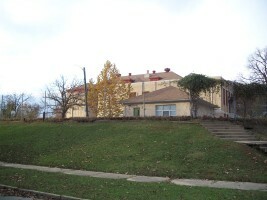 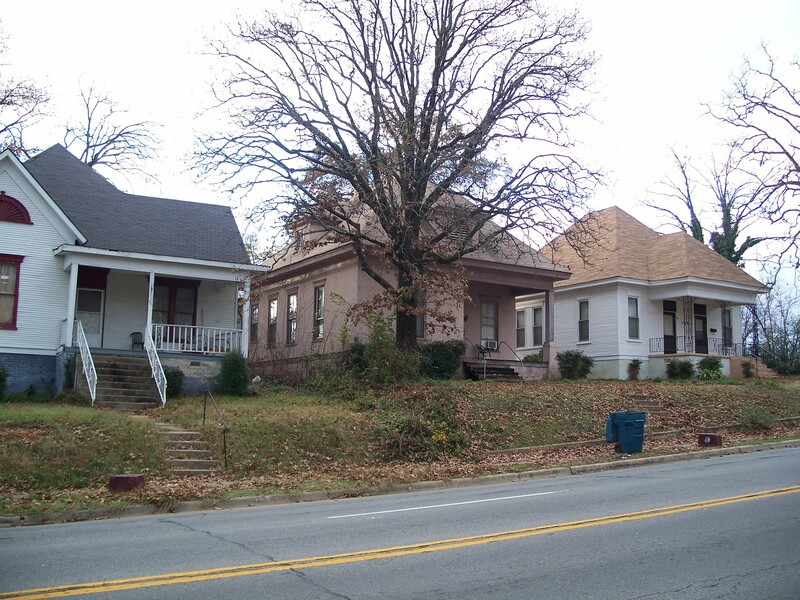 When I visited in 2007, the large house was still standing across 21st Street from the (better known) Ada Thompson home and was home to radio station KABF and the Association of Community Organizations for Reform Now (ACORN), a national community organization of low- and moderate-income families that works for social justice and stronger communities and was founded in Little Rock in 1970. 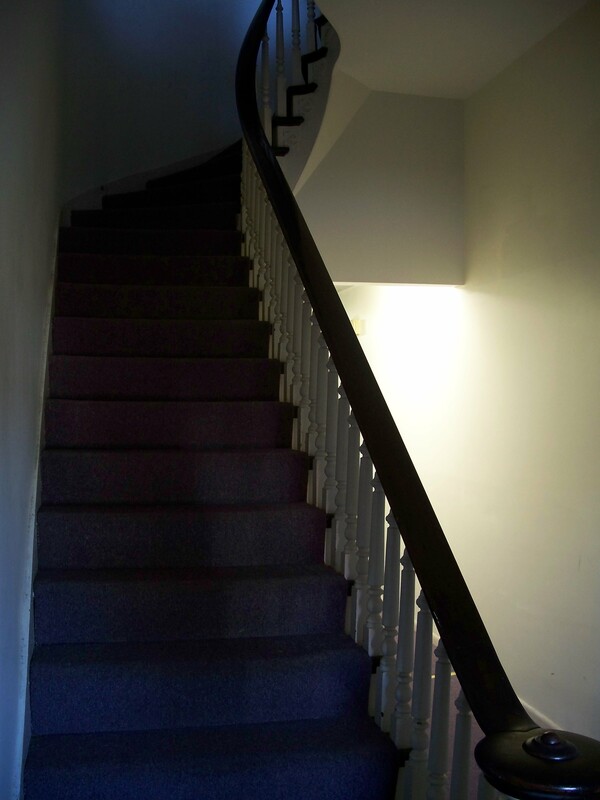 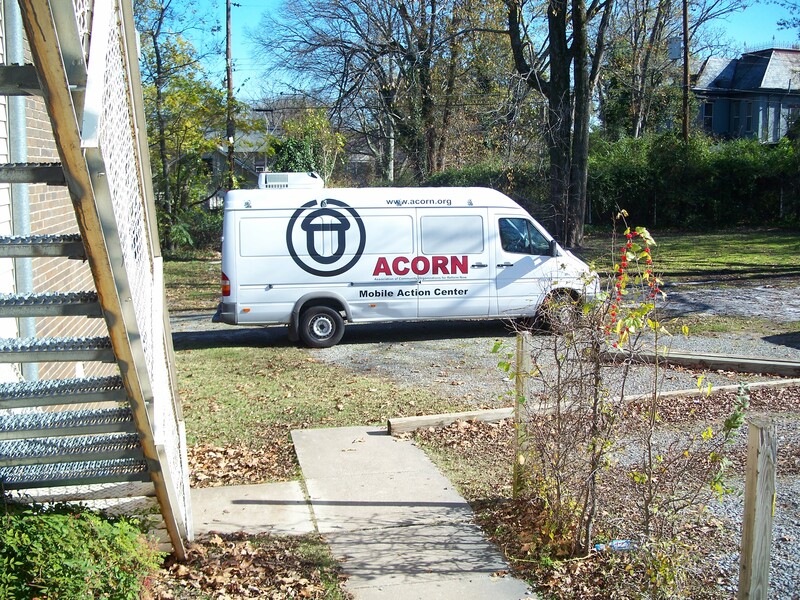 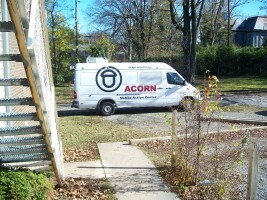 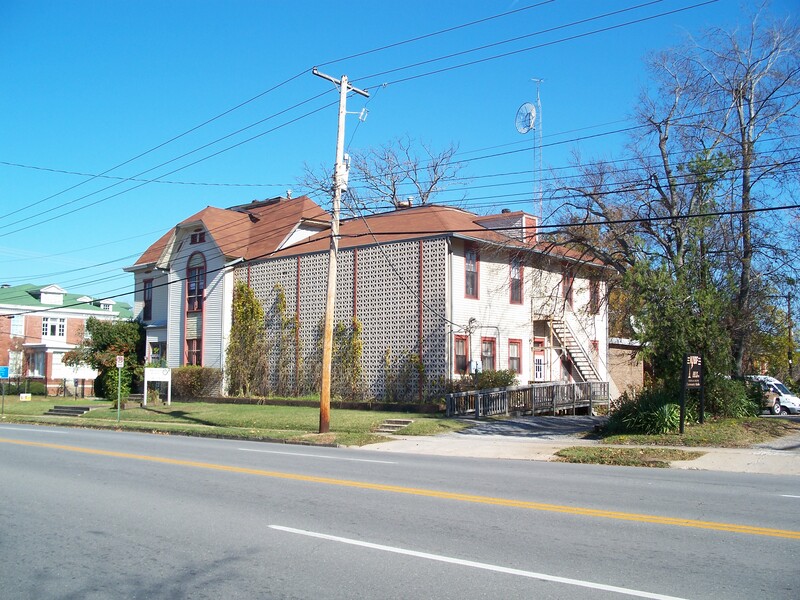 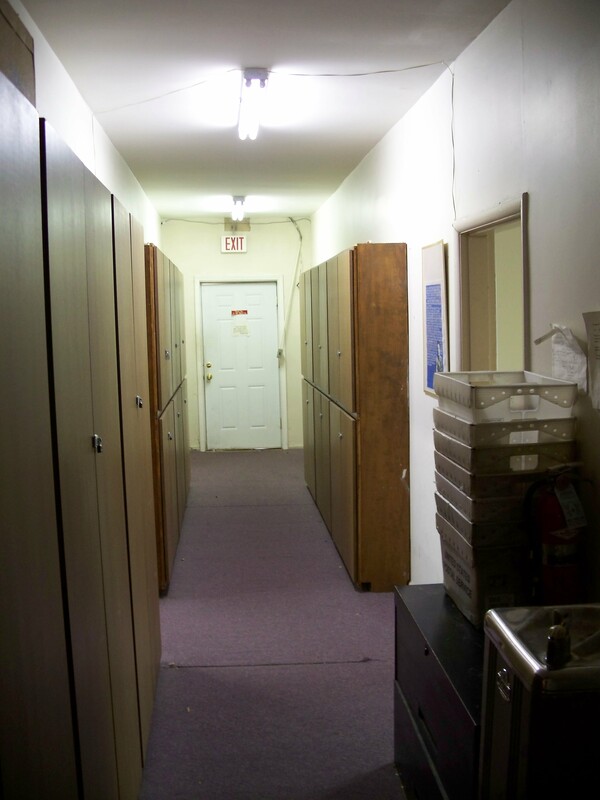 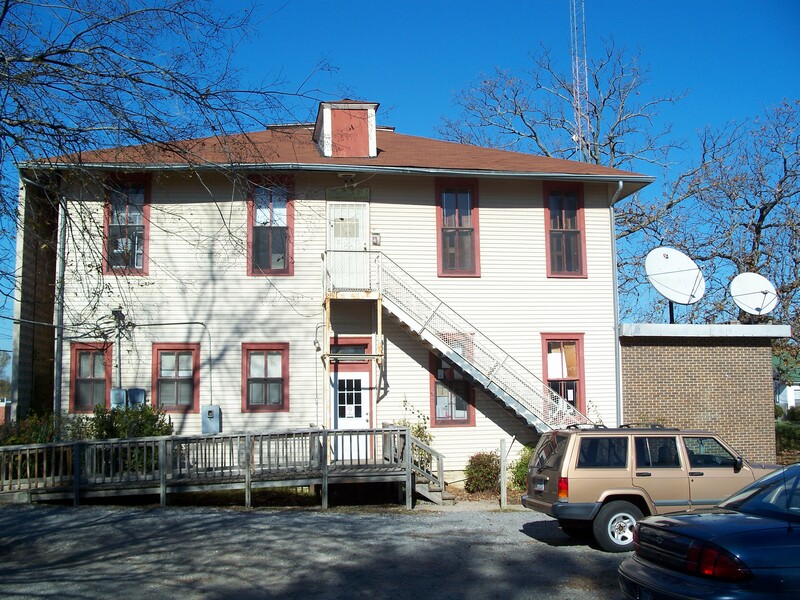 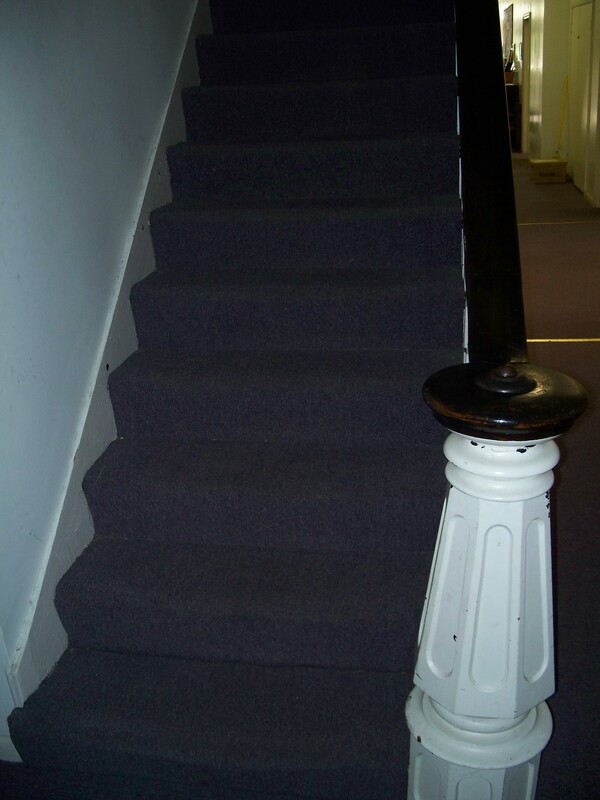 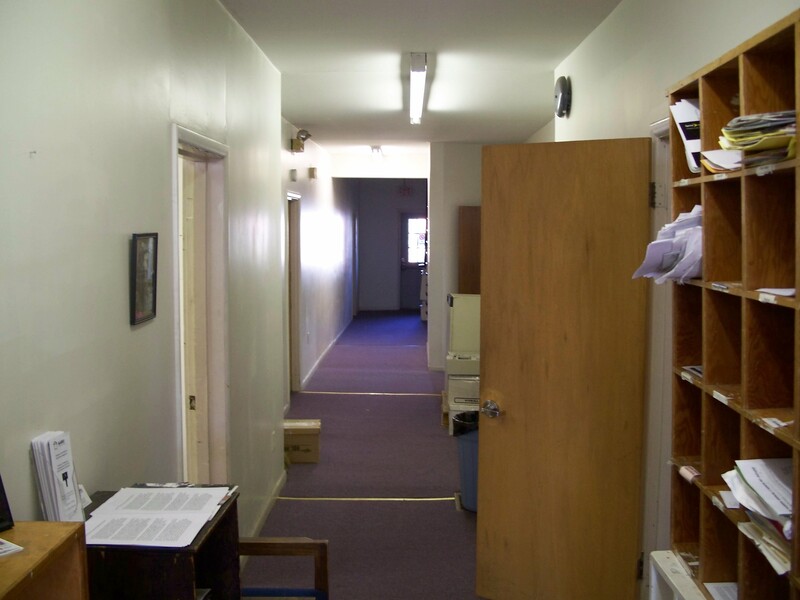 I asked a gentleman in the ACORN office if he knew anything about the history of the house and, while he didn't know many details, did know that the house had served as an orphange as well as a law office before ACORN moved in. He also said I was welcome to look around the house, which I did. 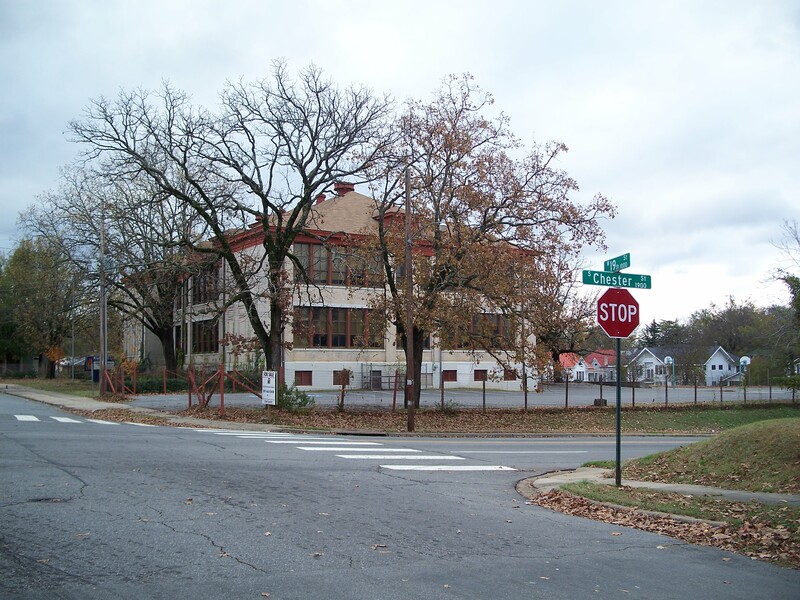 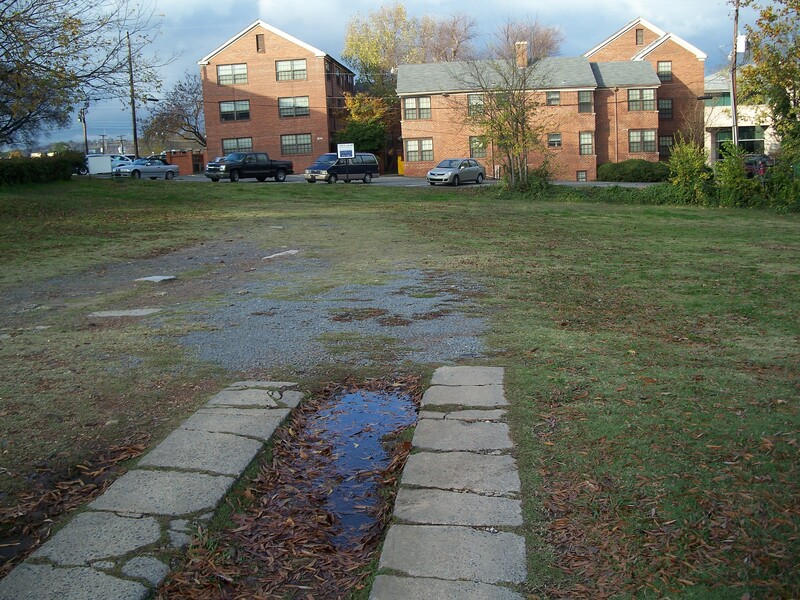 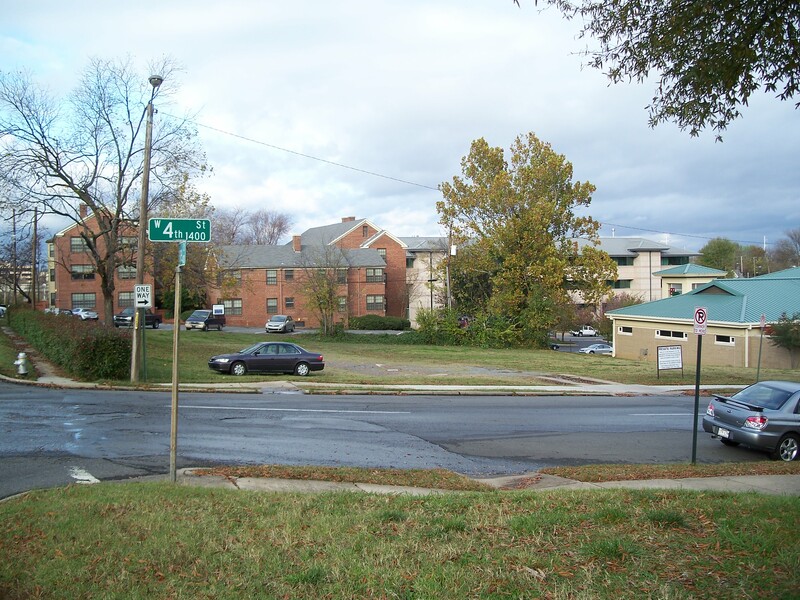 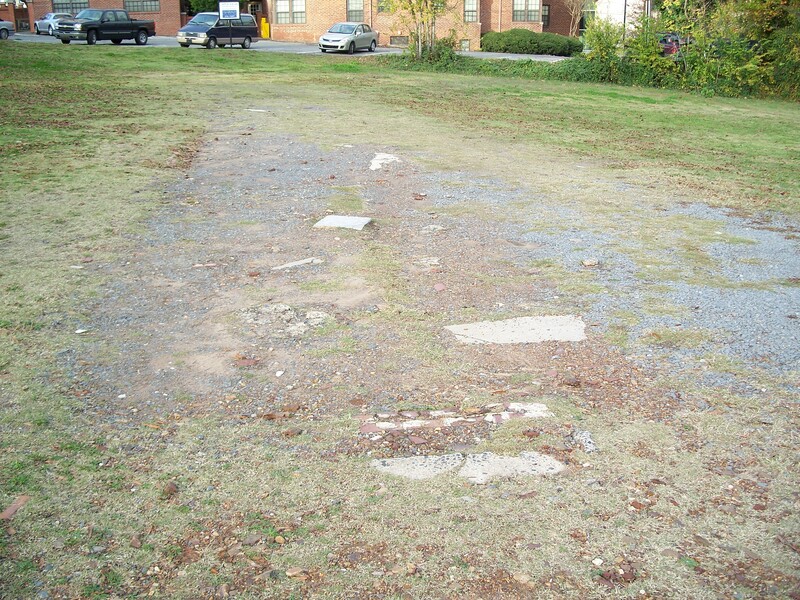 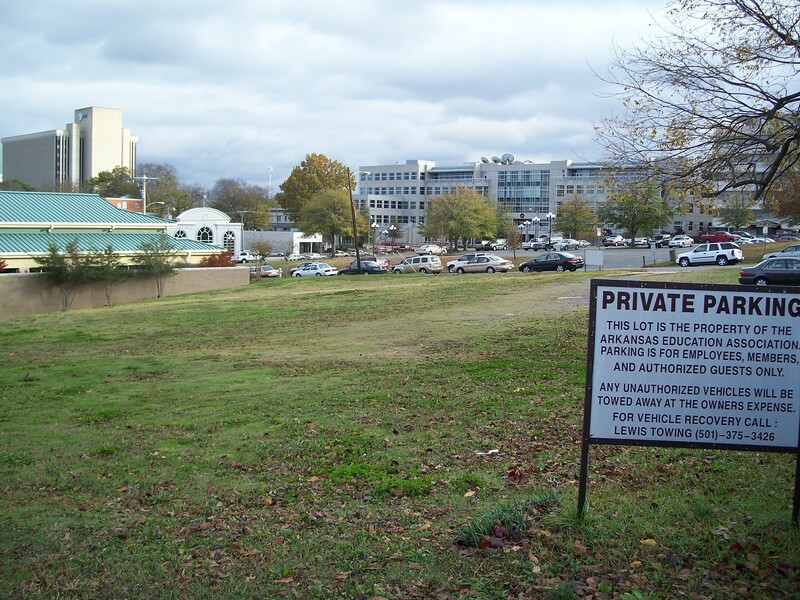 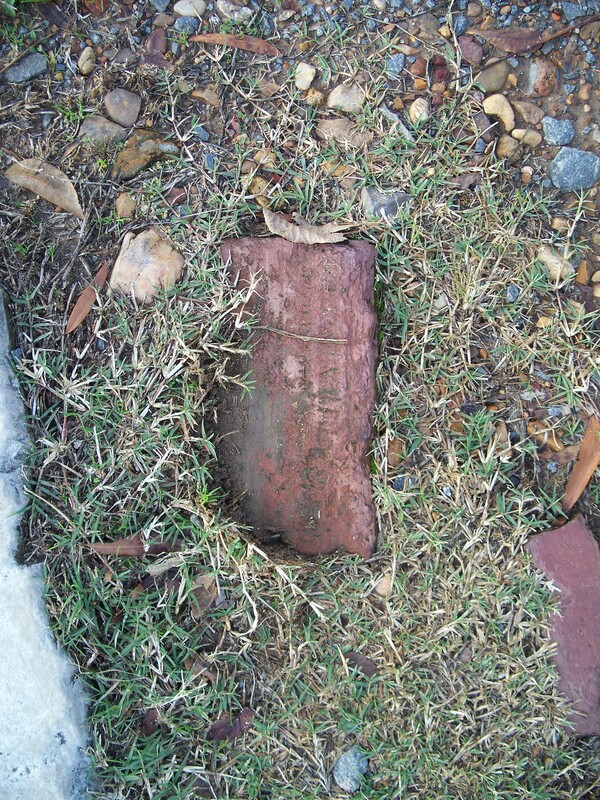 When I visited the 1421 West Fourth Street location in the Fall of 2007, the site was simply a vacant parking lot with fractured bricks as the only remnants of whatever building stood at the time or was built later. 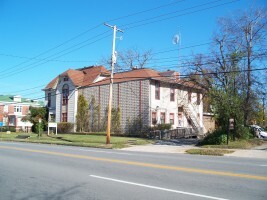 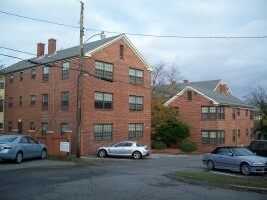 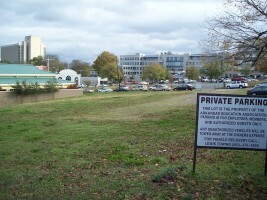 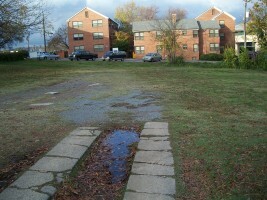 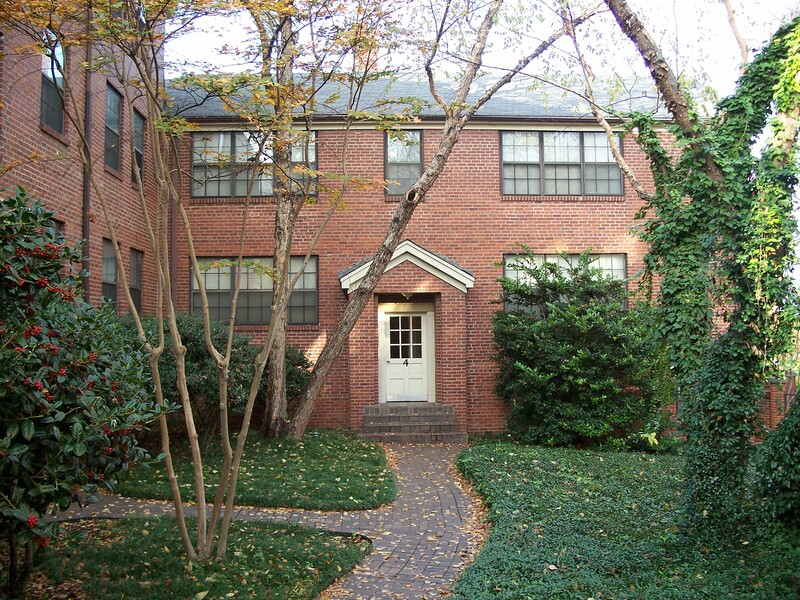 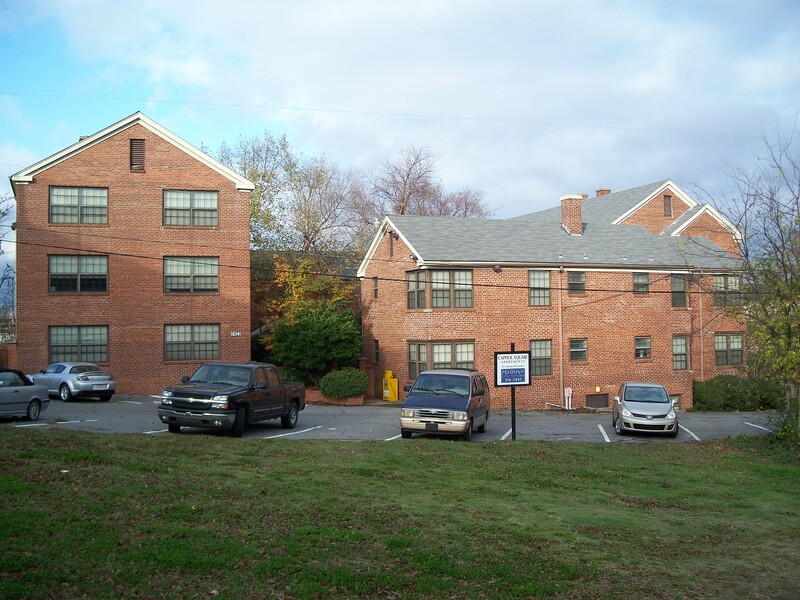 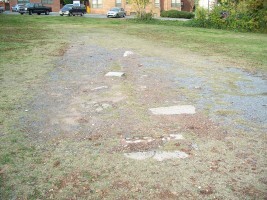 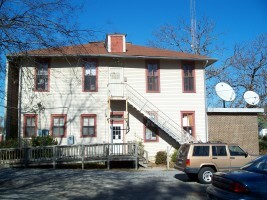 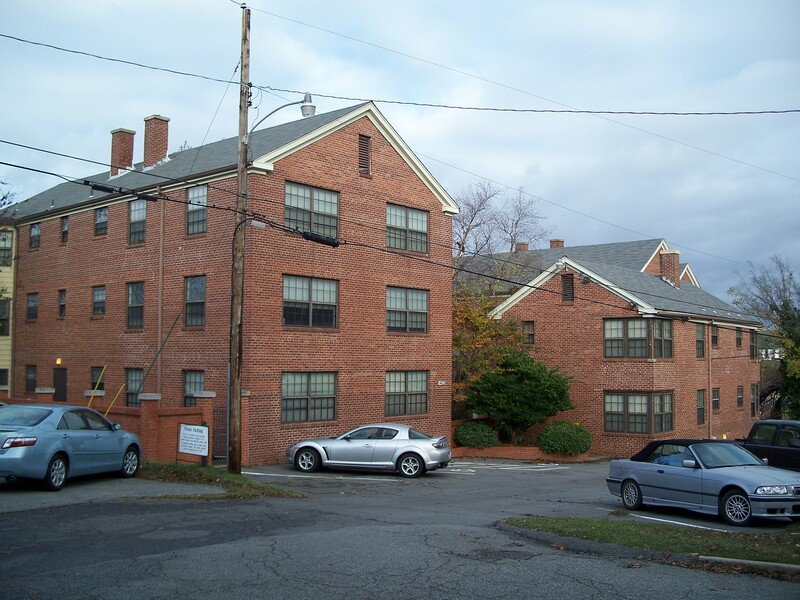 1423 West Fourth, just behind the old building site (to the north), is the home of Capitol Square Apartments. 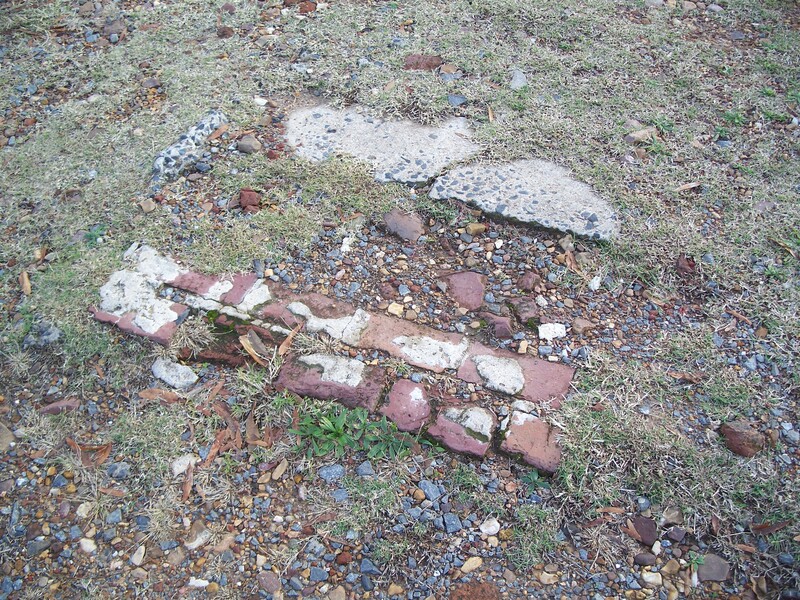 The buildings appear to be of appropriate vintage and might have been part of the Working Womens Home, although there is no obvious indication that they were. 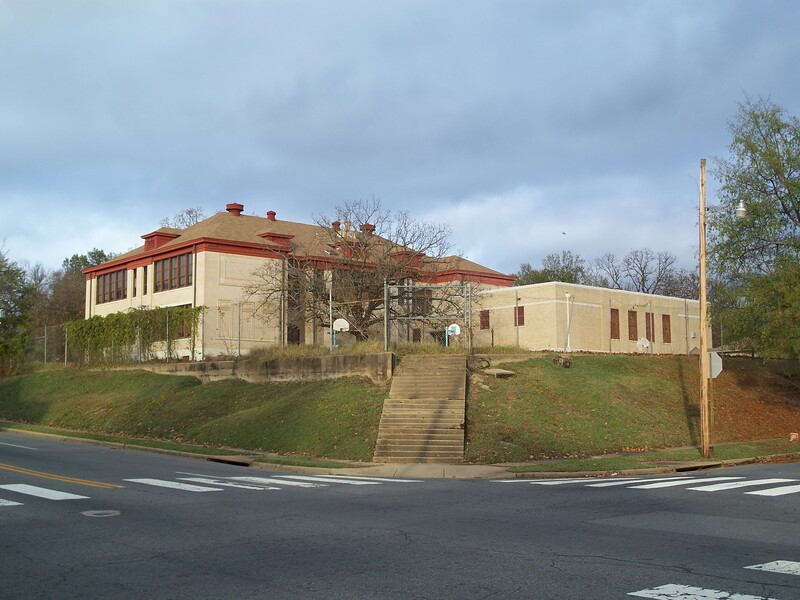 In family notes written in the early 1970s, Eva Privett wrote that Frank attended the "Writsel School" and Robert E. Lee school while living in Little Rock. 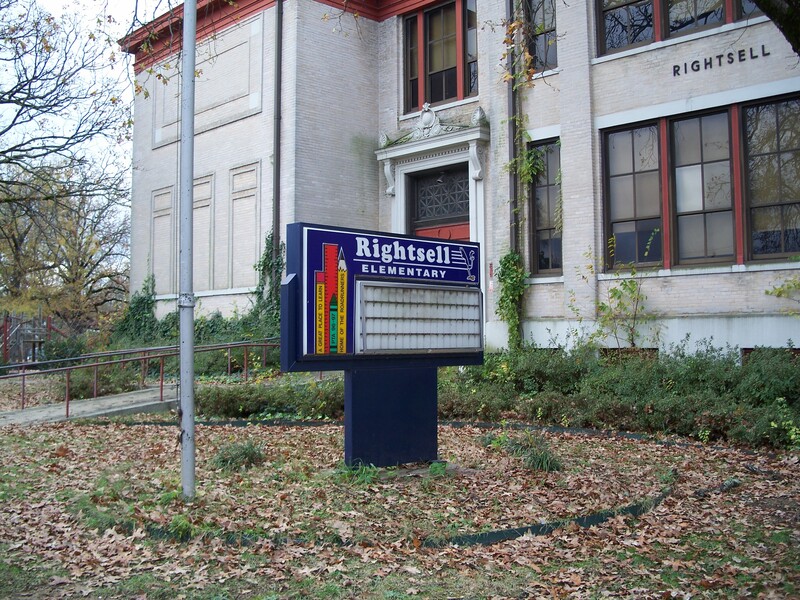 Rhonda Stewart at the Butler Center (see below) surmised that it was actually the Rightsell School, with the name being mangled by Frank's memory and/or rural twang. 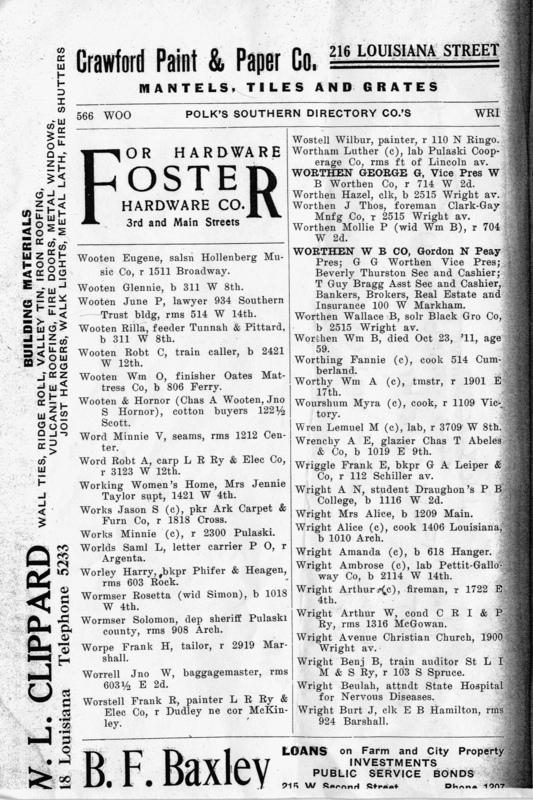 The address at 911 West 19th Street (at Chester Street) places it fairly close to the 21st Street address of the Working Womens Home (although quite a walk in the days before school buses) and possibly (but not likely) near the Griffis home on 19th Street Pike listed in the 1920 census. 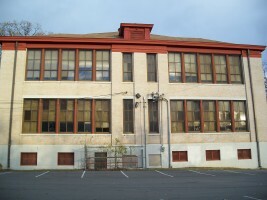 When I visted in 2007, the school was still standing with only minimal modification from the period when Frank attended here. 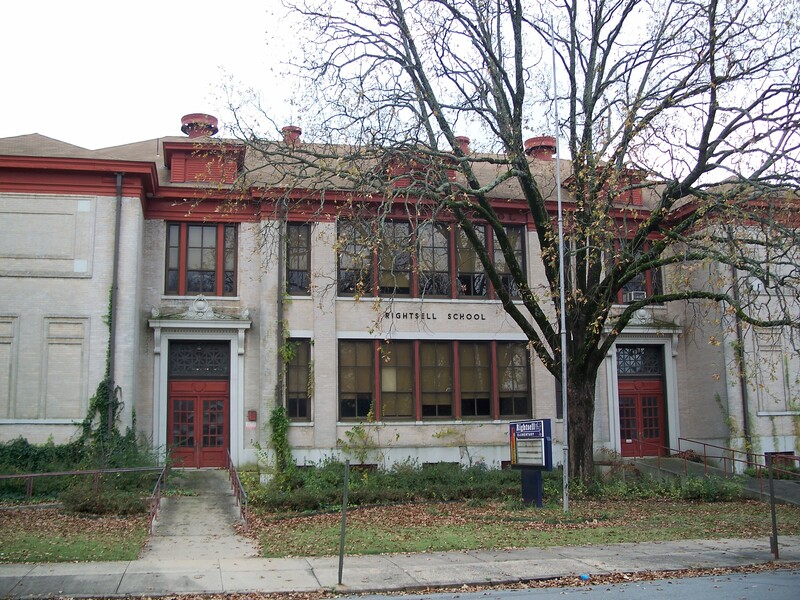 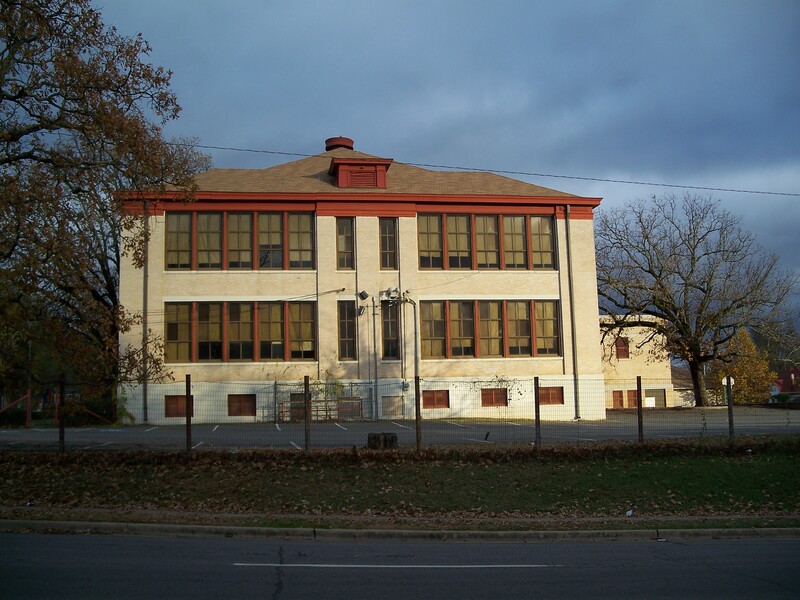 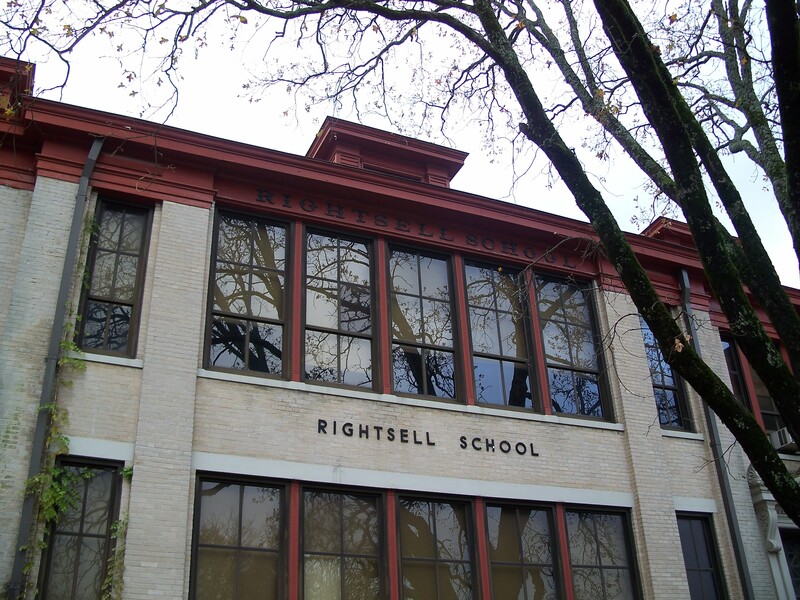 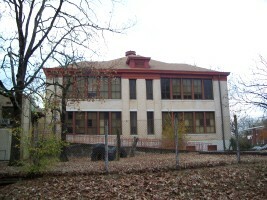 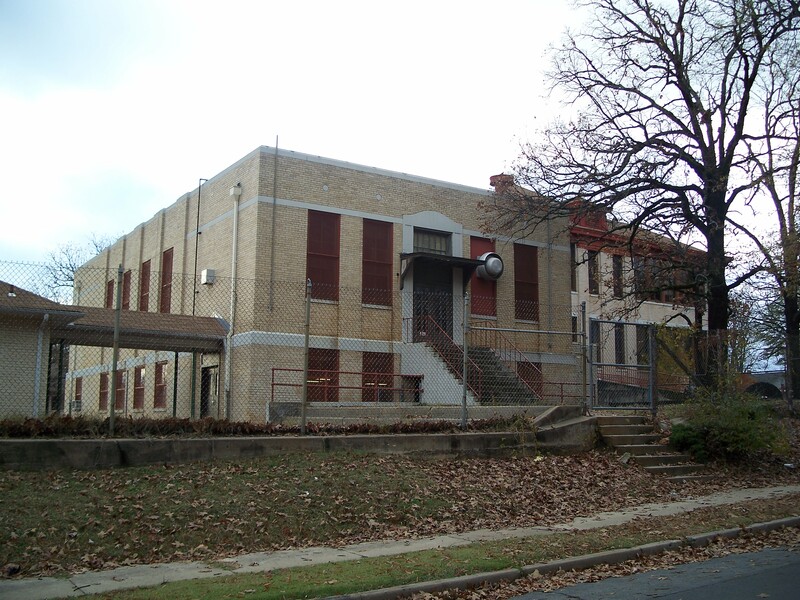 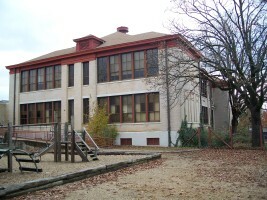 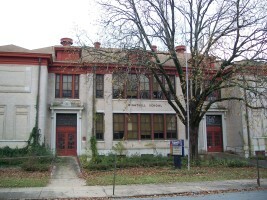 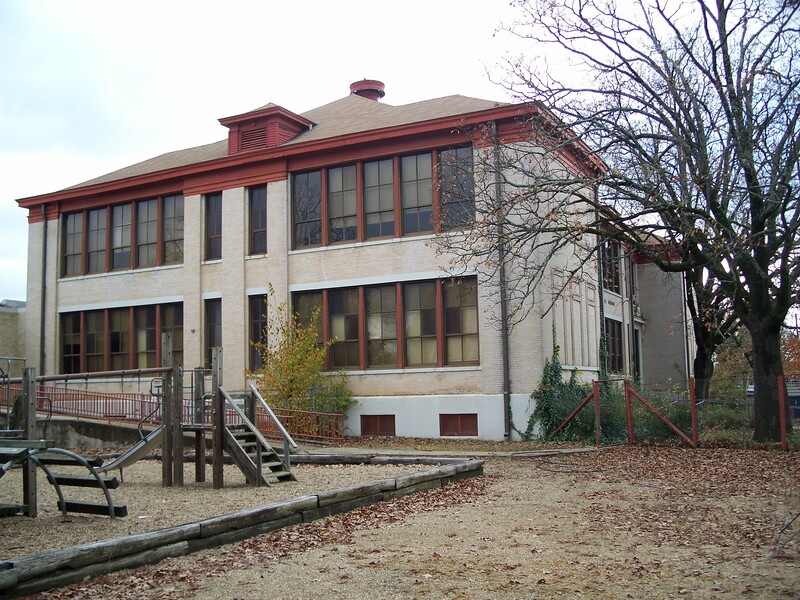 Rightsell School opened in 1906 and was named after Jacob R. Rightsell who served for 33 years as the second superintendent of the Little Rock School District. 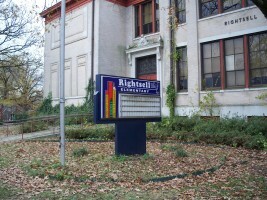 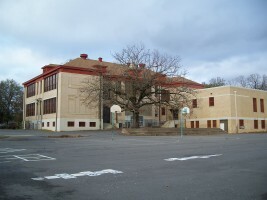 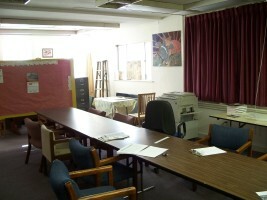 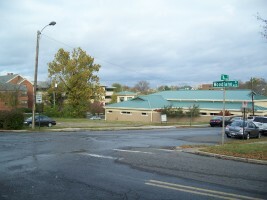 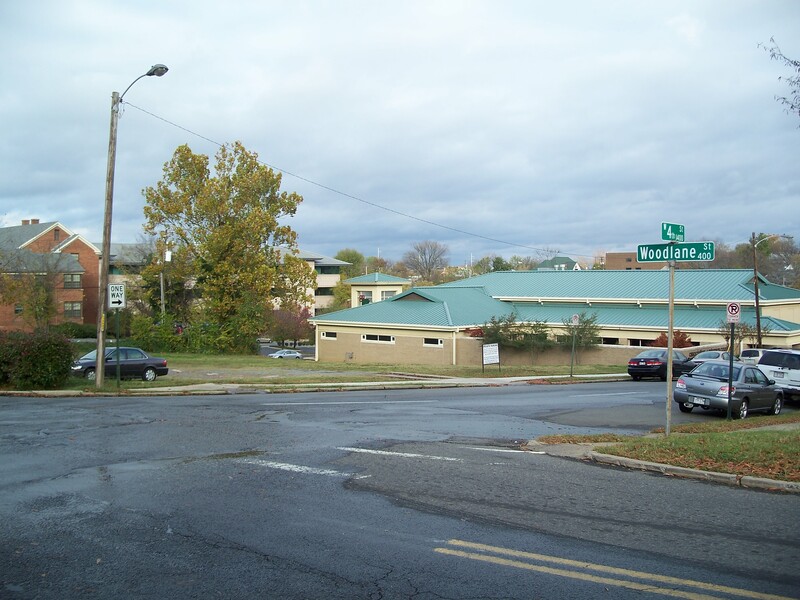 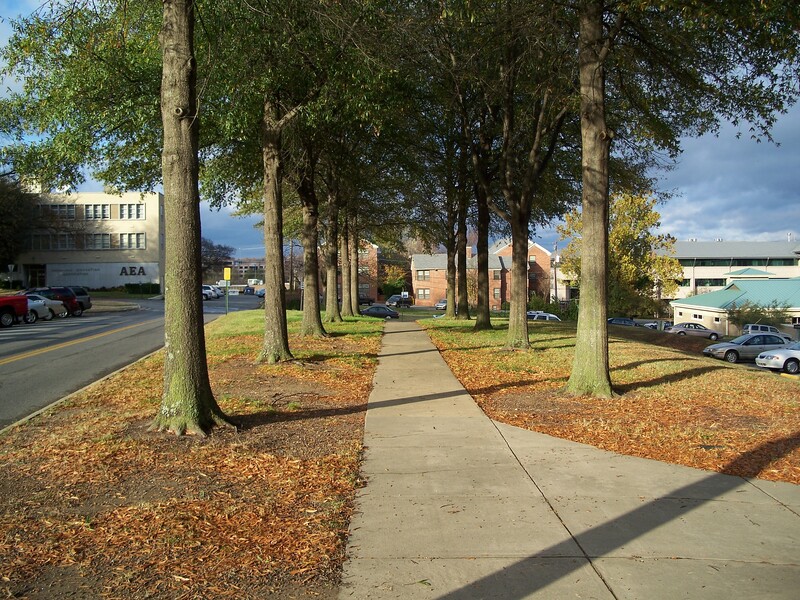 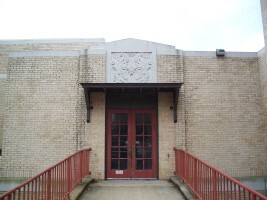 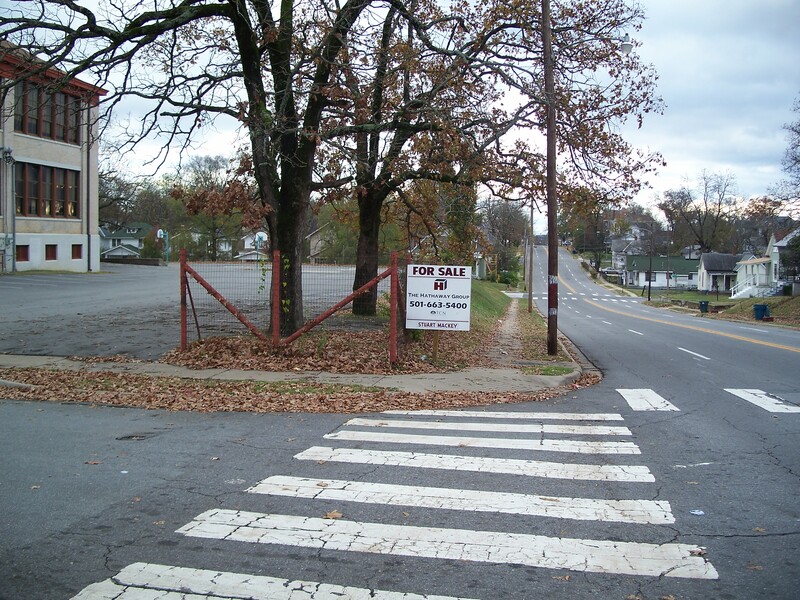 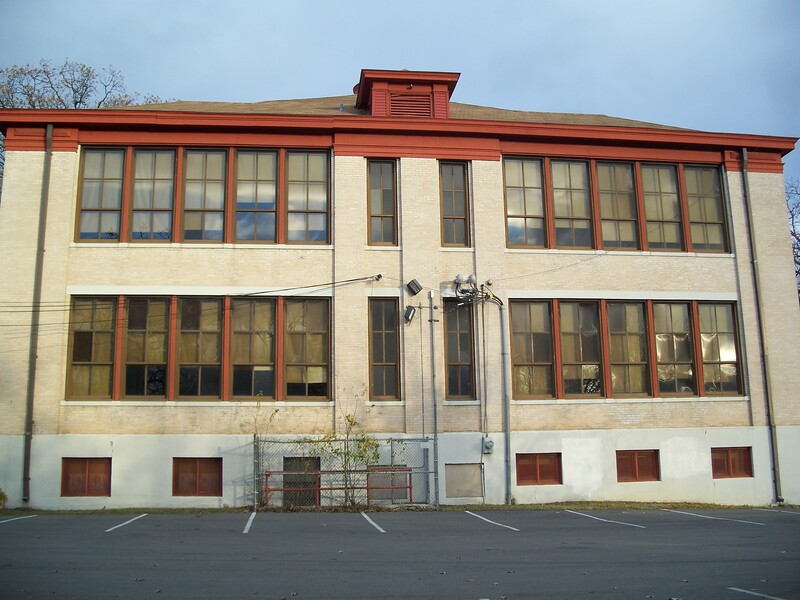 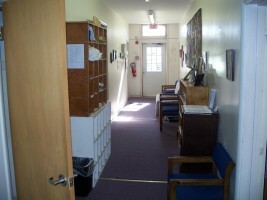 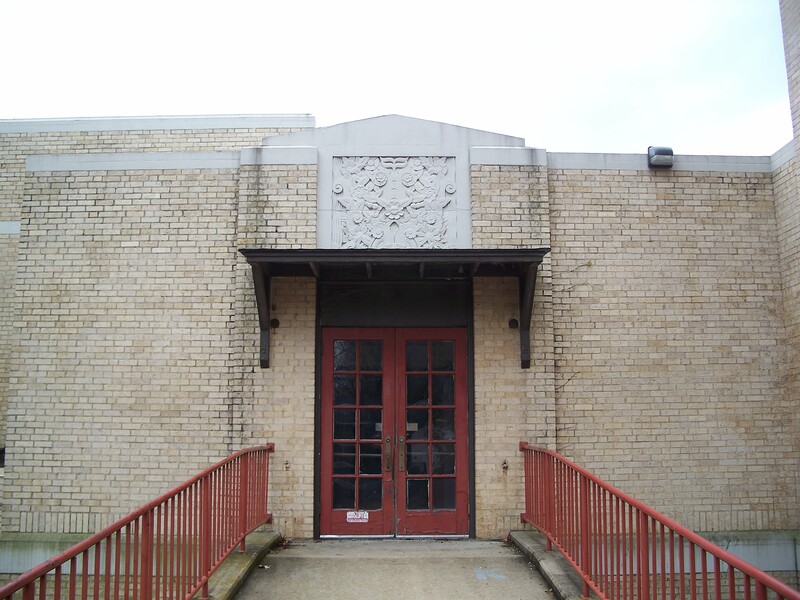 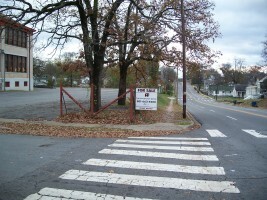 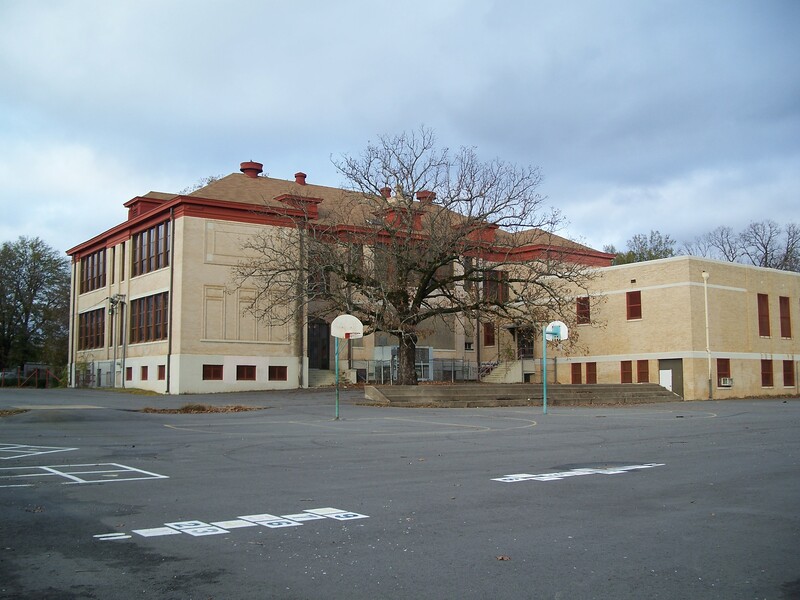 The school was closed in 2005 and the students were relocated to a newer, larger school, in contradiction to the growing belief that small neighborhood schools are better for children. 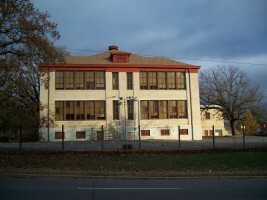 Allegedly, the building was sold to a church for reuse as a school of some kind. 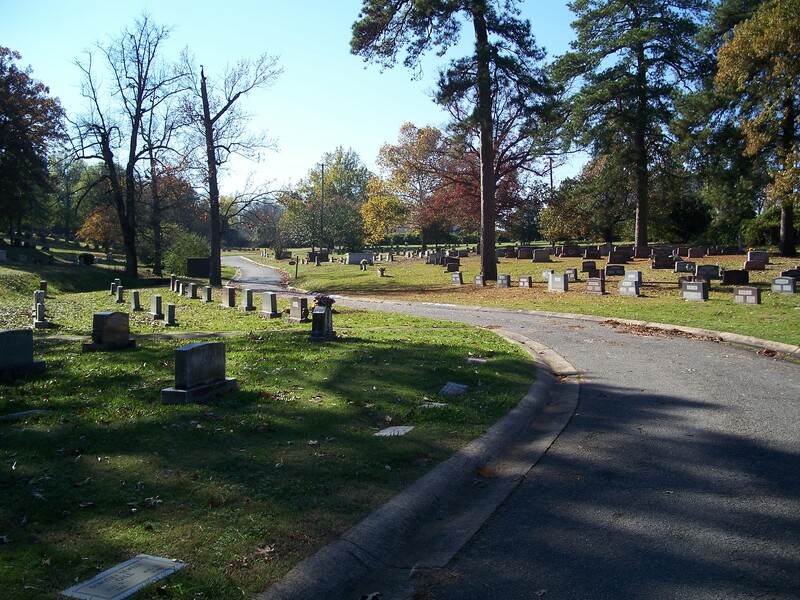 Lucinda Harper/Varden/Privett/Ervin/Griffis lived out the remainder of her difficult life in Little Rock, AR, becoming widowed in 1943 and finally passing away at the age of 84 on October 24, 1972, after an extensive period of dementia in a Little Rock nursing home. 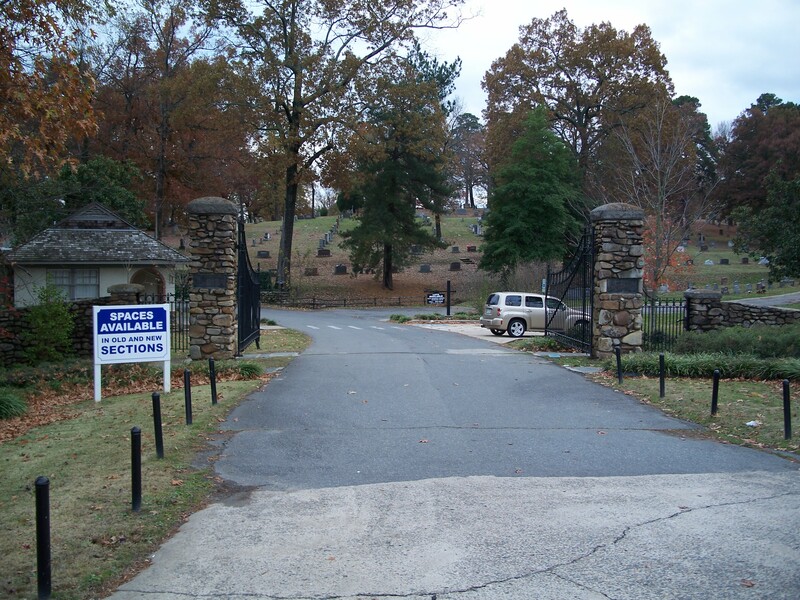 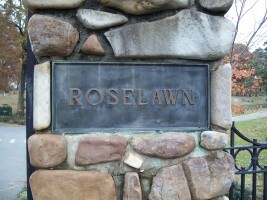 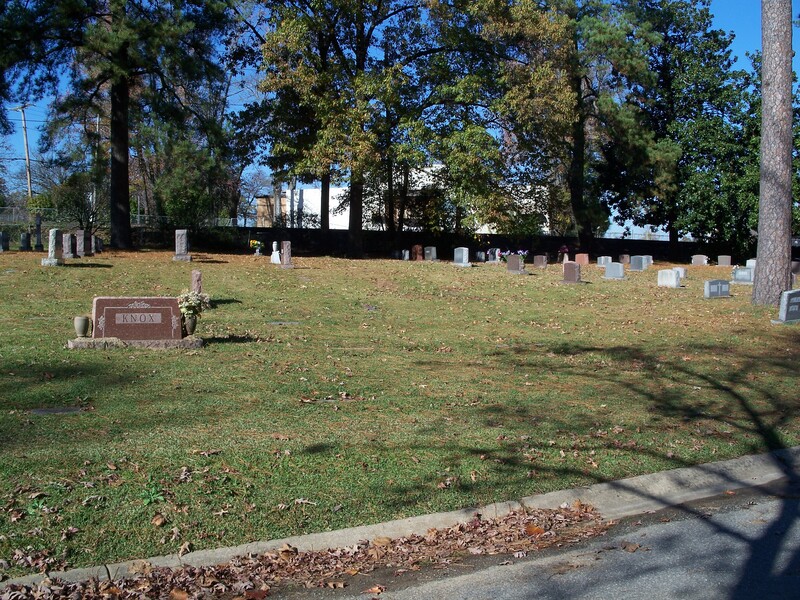 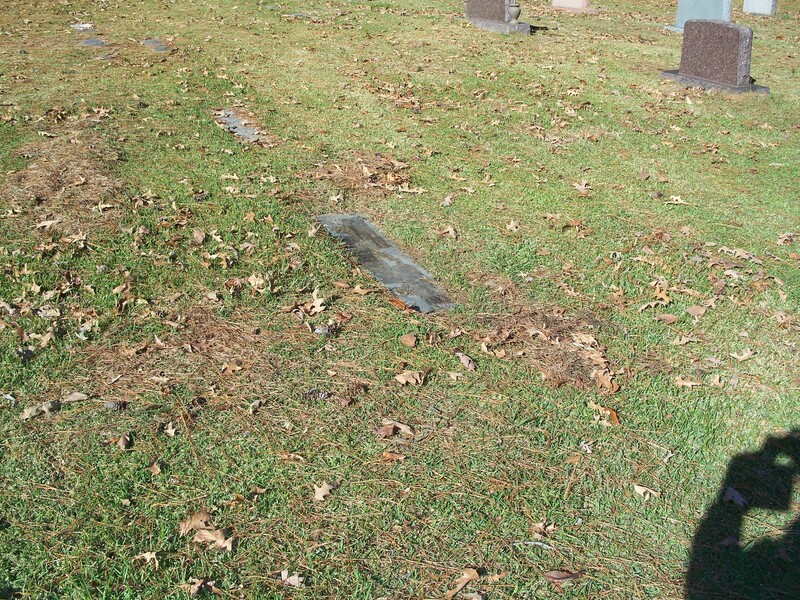 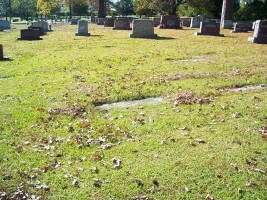 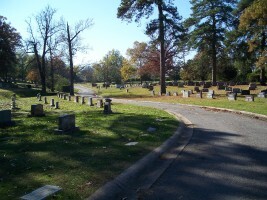 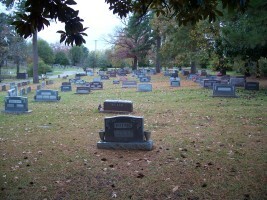 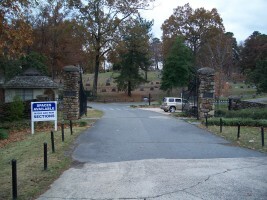 She is interred in Little Rock's Roselawn Cemetery (2801 Asher Ave), next to her last husband, P.G. 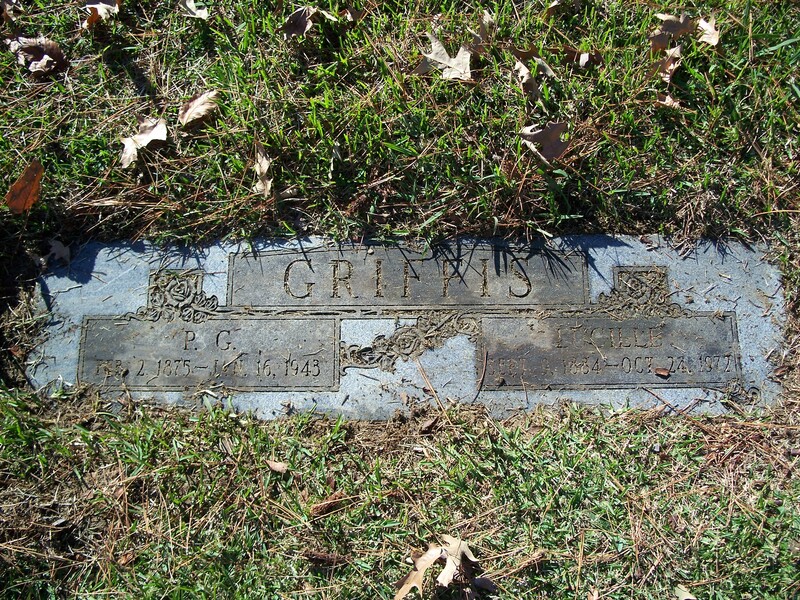 Griffis. 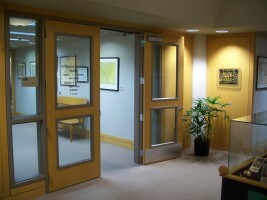 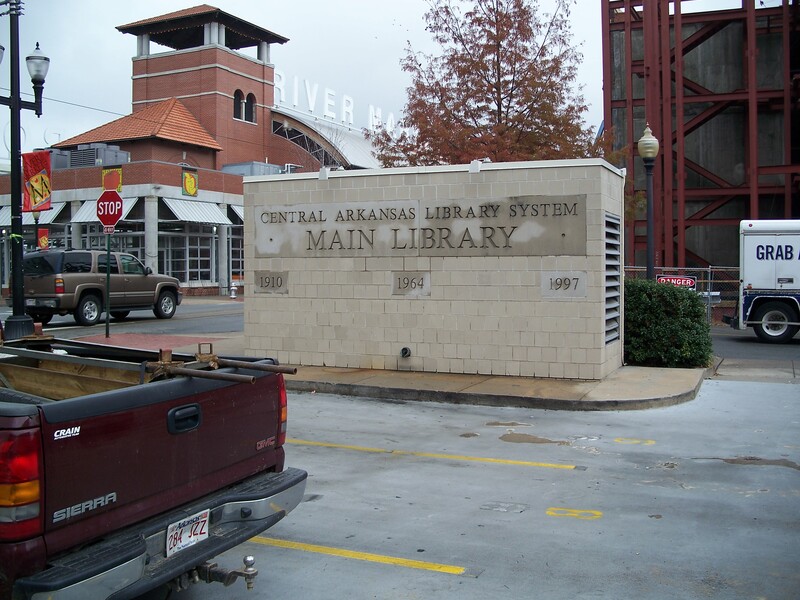 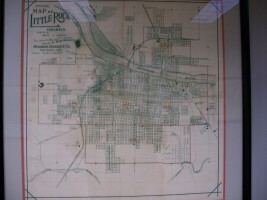 The Butler Center for Arkansas Studies at the Central Arkansas Library System's Main Library was an invaluable resource for the information contained on this page. 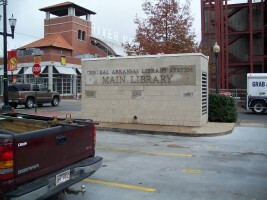 Special thanks to Rhonda Stewart, Stephanie Bayless, Sara Thompson and Alex Baird for their generous assistance.